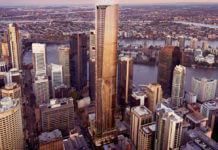 A new DA has been submitted by Economidis & Yarnell Pty Ltd for a three tower development located at 15 Wellington Road, East Brisbane. 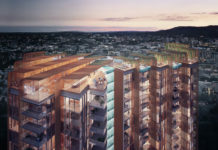 Designed by Group GSA, the development includes resident’s pools, bbq areas and outdoor green space and eight ground floor retail tenancies. 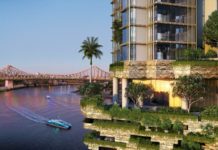 As part of the 443 apartment development, an adjacent vacant council site is to be turned into parkland as part of the development. The future vision for Council owned land adjoining the site (5 and 7 Wellington Road) to the south is for these land parcels to be converted to public open space. Currently, the land is vacant and is constrained via a narrow entrance point from Hampton Street which has the potential for entrapment issues from a CPTED perspective. 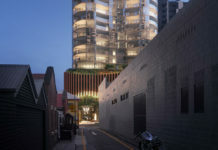 The proposed development seeks to provide a high quality public realm both internal to the site and at the interface with this land with pedestrian connectivity from Hampton Street through to Wellington Road. The DA number for this proposed development is A004321661.